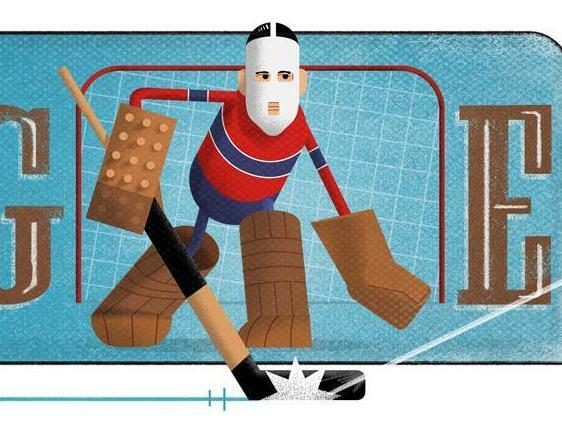 This week’s Google Doodle pays tribute to Jacques Plante, a former Canadian professional ice hockey player credited for inventing the fiberglass mask that goalkeepers wear on the rink today. Tuesday will mark 65 years since Mr Plante was drafted into the Montreal Canadiens and established himself as their starting goaltender. In 1956, the hockey legend designed and built the first fiberglass mask to wear during practices to protect him from puck flying into his face. He did not wear it, however, until later in the year when, during a game against the New York Rangers, a puck hit Mr Plante’s nose and broke it. After being treated for his nose injury, he returned to the ice rink and wore the mask to protect his healing nose. He kept wearing the mask during games until his nose made a full recovery. Since mask-wearing was unique for goalkeepers, it caused a pandemonium among hockey fans then. His coach wanted him to get rid of the mask, but Mr Plante refused. Fortunately, since the team kept winning, Mr Plante had some leeway in continuing to wear his mask. Now, nearly over six decades later, masks are worn by hockey goalies worldwide. Mr Plante, who died on February 27, 1986 from stomach cancer, was inducted into the Hockey Hall of Fame in 1978.